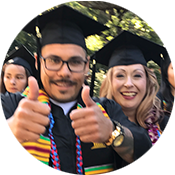 The Financial Aid Department supports the Gavilan College Mission, and Principles of Community in its student-centered approach, by increasing program awareness and by providing funds to promote student success. Through a shared commitment to students and families, we strive to eliminate financial barriers of postsecondary education. We make a conscious effort to reach out to those with exceptional financial and educational needs. We provide the highest quality of service by providing a fair, sensitive and confidential environment to all individuals, regardless of background, culture or lifestyle. Process aid packages efficiently, in an accurate and timely manner. Make timely disbursements of aid to all eligible students. Provide quality advising services by responding to student inquiries in a timely manner, and provide quality publications. Maintain regular contact with students and parents related to financial aid awards, and statuses. 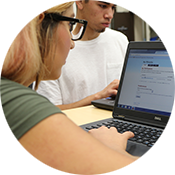 Provide individual student/parent assistance in completing necessary applications and make referrals as appropriate, to the Welcome Center. Exercise professional judgment to ensure access to financial aid in extenuating circumstances. Publish required consumer information concerning financial aid program expenses, appeal process, application requirements, eligibility criteria, award procedures, student rights and responsibilities, important deadlines and other pertinent information. Provide up to date training and information opportunities to all financial aid staff through in-house training and attendance to professional training events and workshops. Maintain active working relationships and communication with all campus offices involved in the provision of financial aid programs: Student Accounts, Admissions and Records, Business Office, MIS, General counseling, Athletics, EOPS, DRC, TRIO, MESA, CalWORKs, Mailroom, Instruction. Comply with all federal, state and local regulations, laws and policies in the administration of financial aid and scholarship programs. The Financial Aid Department at Gavilan College adheres to the Statement of Ethical Principles of the National Association of Student Financial Aid Administrators (NASFAA), and the principles and guidance set forth by Federal Student Aid, the California Student Aid Commission, the California Community Colleges Chancellor’s Office, and Gavilan College in determining eligibility for federal, state and private financial aid programs. In combination, the College processes federal Title IV, state, and private scholarships for approximately 6,000 students receiving approximately $10.2 million from all programs annually.